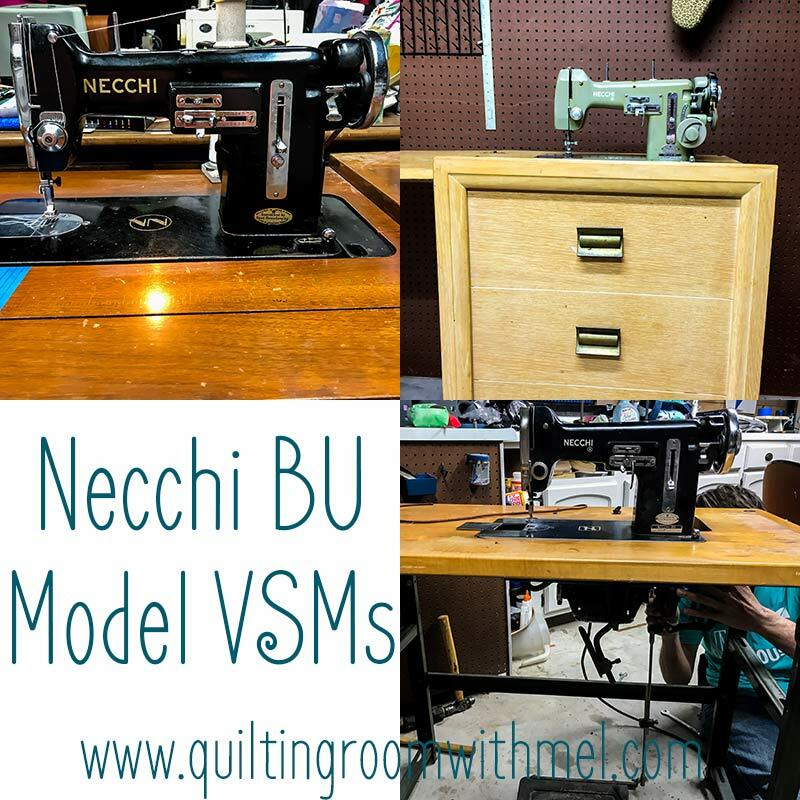 As most of you know I am a huge fan of Necchi sewing machines. Part of the reason is that that's what my mom used. I also think that they are workhorses. There is more than one type of Necchi BU sewing machines though and that's where it becomes confusing to some. So that's what we are covering today, the differences, similarities, and of course the use of these sewing machines that have carved a special place in my heart. 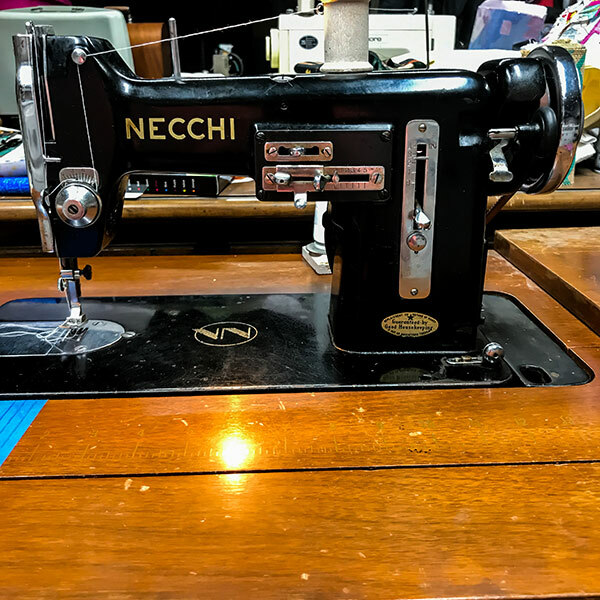 If you have never heard of Necchi sewing machines I have some background information on them on my Necchi page. Vittorio, the man who started the company, not my kitty, had a very confusing way of naming the models of sewing machines he made. We are going to focus on the series that use BU. There are BF machines with the same names, those are straight stitch only machines. BU has an Italian meaning which I have seen but no clue what it actually means, in terms of sewing machines it means it has zig-zag capabilities. There was a BDU, BU, BU Nova, BU Mira, and the Supernova BU. I don't have a BDU and the Supernova BU does function more like a Supernova than the rest so we are going to eliminate it from this discussion. I have been told that the BDU is almost identical to the later BU so everything here should cover it. This is where things get interesting. My BUs came in their cabinets but I bought a BU head for Paul for his birthday a few years ago. Since he's a treadle guy he wanted to put it into one of his treadle tables. 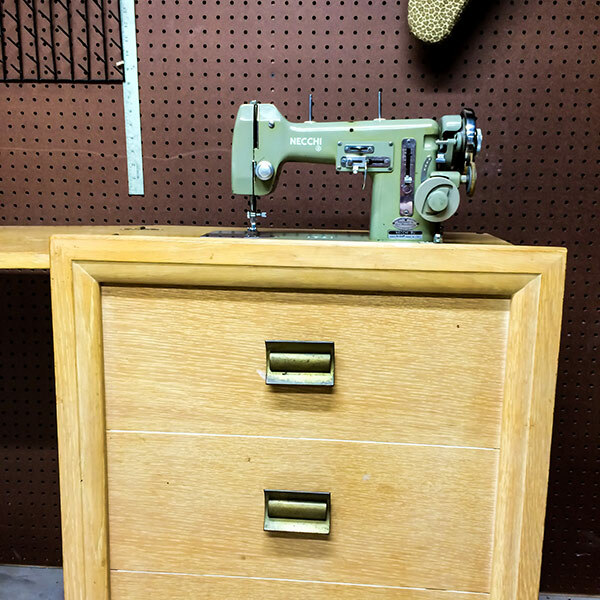 The width of the holes for the cabinet pins said it had to go into a Singer treadle. There was one hole that had a burr in the casting that needed a light sanding. Other than that it fit right into the Singer Cabinet. Other people have noted having issues putting Necchi machines in Singer cabinets though. We may have stumbled on some valuable information this last weekend that might help in finding the correct cabinet for your Necchi BU. I wanted my BU to be in the basement studio but I didn't have room for another large desk style cabinet. I wanted it in a sturdy cabinet. Paul and I discussed converting my desk into a table for it. He suggested the cabinet that my Mira is in and I declined because it is knee controlled. The Nova is in an industrial table, we'll cover it in a moment, so I couldn't use that one. I suggested using the one that the Supernova BU was in since it is a Necchi cabinet it shouldn't be a big deal. I was so wrong. The pins were the correct width apart but since it was a Supernova the bed is longer. To fix that Paul used a piece from a treadle cabinet that we have. The part where the belt goes through was just the right width to take up the extra space. Once he got that installed I was sure all we would need to do is pop my BU on the hinges, tighten it down, and I would be off and sewing. Again, I was wrong. The pins on the Supernova cabinet were too big to fit the holes on the BU. We ended up having to drill the holes on the machine in order to put the machine on the hinges. The BU Mira came in a cabinet called Cornet. It has a fairly small footprint. When you pull on the handles it reveals a chair. In the chair, there is a drawer for your accessories. The one thing I don't like about this cabinet is the chair is uncomfortable for long periods of sewing. If you don't use the chair then you have to figure out where to put the chair. The last cabinet we have a Necchi BU machine is an industrial table. We recently picked up a BU Nova industrial table. This is an interesting setup. The table top was made in Reading, PA. The clutch system was made by J&K, which we need to do more research on, which is the same as the table we have our Singer 31 in. The mechanism that works the knee lift and such are marked Italy which implies that they are made for this machine. If your machine is frozen you need to go through our resurrecting sewing machines series first. Unlike a lot of vintage sewing machines the Necchi BU manuals actually say you need to oil your machine everytime you sit down to sew. I have found that with the higher quality lubricants that we have today I don't find the need to oil every time I sew. I do oil once a week. I have a video on oiling a Mira but all three models are going to be very similar. The ports across the top might be in a different spot though. When you oil be sure to oil the bobbin race. If it dries out it can cause issues with your stitching. I found this out the hard way. My BU would randomly mess up. I could tell it had something in the bobbin area that wasn't working. We checked the race for burs, we checked the case, changed cases, changed bobbins, and tried to recreate it with the speed I was sewing. There was no rhyme or reason. It finally clicked that it would go away when I oiled the race. It would come back when I had skipped that on my oil routine. Threading for all three machines are the same with one exception. The Mira does not have the second to last guide. I also did a little demo of the Nova running at the end. The hum you hear is the motor running. It runs all the time but the needle doesn't engage until you push the pedal and the clutch engages. You also need to get the bobbin in the case correctly. I did a Facebook like awhile back that covers both cases and drop in bobbins. It's super important to get the bobbin in the correct way so that everything works right. The BU machines take class 15 bobbins. They do prefer the metal bobbins over the plastic ones. They take a 15x1 needle. Those are the needles you can find in every store that carries needles. I do suggest, as always, a high quality needle such as Schmetz or Klasse. Want more vintage sewing machine information? 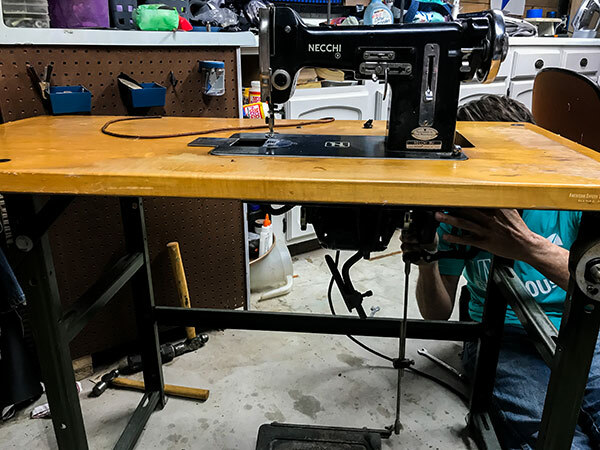 Be sure to sign up for our newsletter below and as a thank you get a checklist for resurrecting your sewing machines.